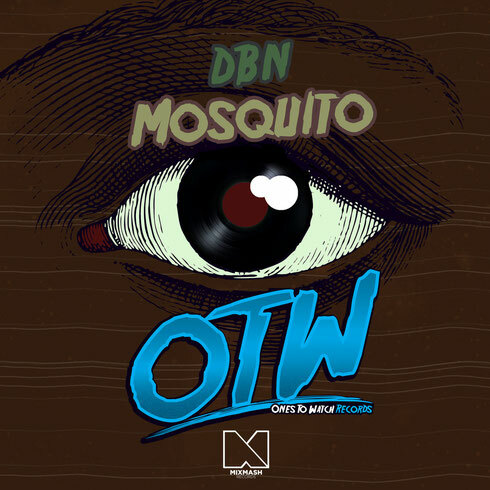 Following up their track ‘Asteroid7’ ft. Madita on John Dahlbäck’s Mutants Records, Hamburg-based trio DBN recently announced the release of their newest single ‘Mosquito’ on Ones To Watch Records. This time, as the German production outfit combine their house and electro sounds with a more classic house tilt, the track is available now as a free download via the Ones To Watch Records' SoundCloud for an exclusive two-week period, as well as being available to purchase via all digital retailers. Having released ‘Gorilla’ with Tony Romera on Laidback Luke’s Ones To Watch Records just two months ago, DBN are back on the label again with an equally diverse sequel. With tribal percussion and a constant 4/4 kick, they punctuate the composition with high toms and retro vocal cuts that build the track up to its drop. As the track moves into its main groove the sub-heavy low-end and drum fills maintain the energy until the main hook takes centre stage. The bouncing chords transition the track into the breakdown where a saturated transcontinental synth lead takes pole-position atop the composition alongside rhythmic vocal chanting - building up to the final drop and breaking back into the first groove, it’s full of surprises. With a string of releases on several dance imprints, as a tight-knit group the Hamburg-based trio of Patrick, Tobias and Djani form a symbiotic whole with a work ethic that has apparently helped them garner a significant and loyal fan base around the world.